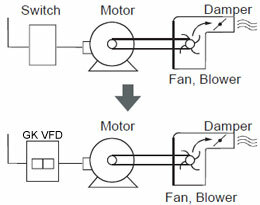 Which one is the best, using two VFDs (method two) or one VFD (method one)? Home » FAQ » Which one is the best, using two VFDs (method two) or one VFD (method one)? In method one the rating of the motor is the same, but in method two the load motor is bigger than the test motor, how can I calculate the rating of the load and test motor? If for example I have tested motor 11 KW, what is the rating of the load motor? 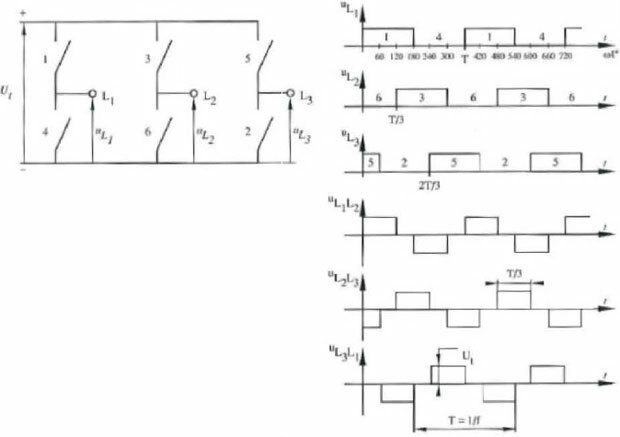 In case there is access to intermediate DC circuit via DC terminals you can inter connect the DC circuits of the two VFDs and have a common DC setup without having the need to regenerate power to network. The power will circulate between motors and inverter parts of VFDs via the DC circuits bypassing the rectifiers. You need to check from the operator's manual or ask manufacturer whether some protection or damping is needed between the DCs. e.g. Fuses, chokes etc. My application was testing an ABB "Low-harmonic" drive (active front-end). My load VFD was a Gozuk. I wasn't about to try to connect the two DC busses together there. For a common DC buss application, matching motors and drives should be used, I would think. This is definitely a "consult the manufacturer" question. In answer to "one- or two-VFD solution", I have to say: What is it you are trying to accomplish? If all you want to do is load your VFD/motor combination to 100% (or higher), the single VFD solution will cost you the least in materials and will allow you to achieve your goal. 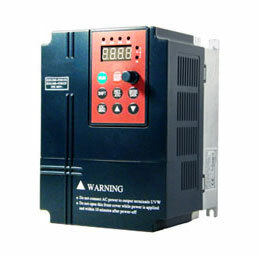 If you need to load the motor/VFD combination over a wide speed range, you need two VFDs. If you can get an identical motor and drive, and the VFD manufacturer OK's the common-bus solution proposed above would be the least-cost option for that scenario. If common-bus is not an option, the load VFD sizing will be dependent on how much braking power the load VFD will absorb over the duration you need it to. My application required 100% load for fifteen minute periods. Toshiba advised that a 37kW drive I had available could absorb 13kW in regen power continuously using their standard heavy-duty dynamic braking resistor. They also recommend that the motor connected to their VFD not be less than 50% of the VFD rating. I had a 30kW motor available of the same nameplate speed as the test motor, so that's what I went with. Testing proved that 15kW was all the 37kW drive would absorb. If I tried to regen above that, the VFD would not accept a lower speed reference because the DC buss voltage could not be brought down by the DB resistor circuit. Copyright © 2019 Variable Frequency Drives, All Rights Reserved.